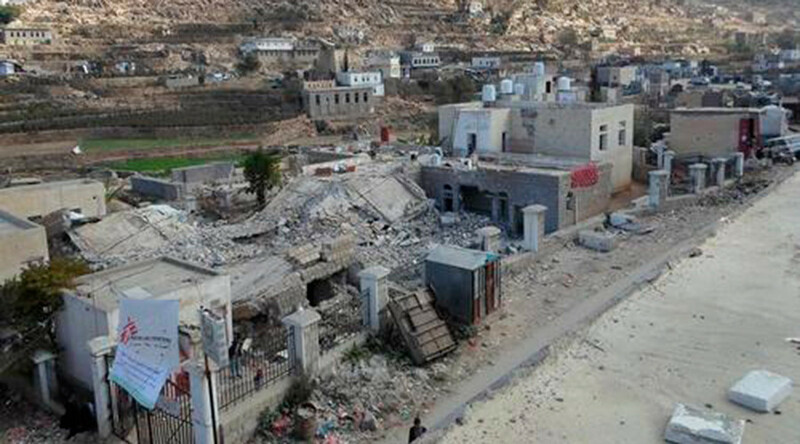 The constant bombing of health facilities in Yemen has created conditions in which the locals fear for their lives and try to avoids hospitals at all costs, MSF said, noting that over 100 facilities have witnessed attacks ever since the Saudi-led intervention. A week after a missile hit the Shiara hospital in Yemen, killing six and injuring seven people, Yemenis are trying to visiting medical facilities only in acute cases of emergency, as being present inside any medical facility is seen by the locals as an imminent threat to their lives. “People still consider hospitals a target and try to avoid them as much as possible. The only cases that we are receiving are emergencies and mass casualties following attacks,” Juan Prieto, general coordinator of Medecins Sans Frontieres (MSF) projects in Yemen said. On January 10, one missile hit the Shiara Hospital, where MSF has been operating since November, 2015. The humanitarian organization said they are unable to say who was responsible for the attack, but mentioned that Saudi-led planes had been seen flying over the facility at the time that the attack took place. A week after the assault, parts of the Shiara Hospitals, including the emergency room and maternity ward are back up and running. While some brave doctors returned to attend to the needs of their patients, Prieto said that people are afraid to seek medical help. “The facility is considered a dangerous place, don’t forget that it has been hit three times in the last year,” he stressed. Prieto says that Shiara case is just one among hundreds of medical facilities that have suffered as a result of the ongoing conflict in the country that has intensified after Saudi Arabia and its coalition began bombarding their neighbor in late March last year. “We have identified at least 130 facilities directly affected by the conflict, hit by missiles launched from the ground or by airstrikes,” Prieto said. As a result of the constant bombardment medical services across the country have been disrupted, creating a medical “disaster” in the war-torn country. “Medical facilities that should be places of healing for the population, no longer seem to be safe for the patients or for the medical staff operating in them... it is not easy for the medical staff to go back to work when they feel uneasy and threatened. It’s a disaster,” he stressed. The United Nations has criticized the Saudi-led bombing campaign in Yemen for a disproportionate number of civilian deaths and the destruction of infrastructure in the conflict. The UN estimates that the violence has resulted in a dramatic increase in civilian casualties with more than 5,800 people killed in Yemen since March.